I’m on the cover of a trio of books. Well, my photography is. Three new books recently released by Augsburg Fortress feature my photography on the covers. 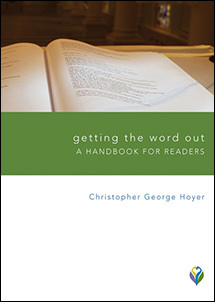 The books are a part of the Worship Matters series and designed to help congregational leaders prepare for and lead worship in their churches. 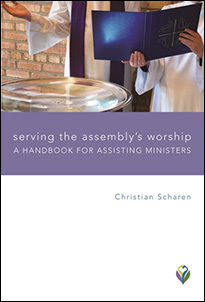 The three titles are Leading Worship Matters: A Sourcebook for Preparing Worship Leaders, Getting the Word Out: A Handbook for Readers by Christopher George Hoyer, and Serving the Assembly’s Worship: A Handbook for Assisting Ministers by Christian Scharen. 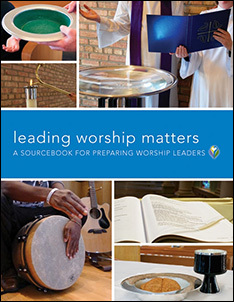 The covers designed by Laurie Ingram use my photographs (except for the photo with the drum and guitar on Leading Worship Matters, which came from another source) to illustrate various aspects of worship and worship leadership. The photos were created specifically for these covers. I’m quite pleased with the way the photographs and covers have turned out, and it’s quite nice to see them in print. I would be remiss if I didn’t thank Laurie Ingram, Julie O’Brien, and Suzanne Burke for asking me to provide photographs for these covers, Laurie for her cover designs, and Suzanne and Bob Farlee for helping with the photo shoot. Augsburg Fortress is the publishing house of the Evangelical Lutheran Church in America and located in Minneapolis, Minnesota. Outstanding! Congratulations both on the fine work and on having it recognized.